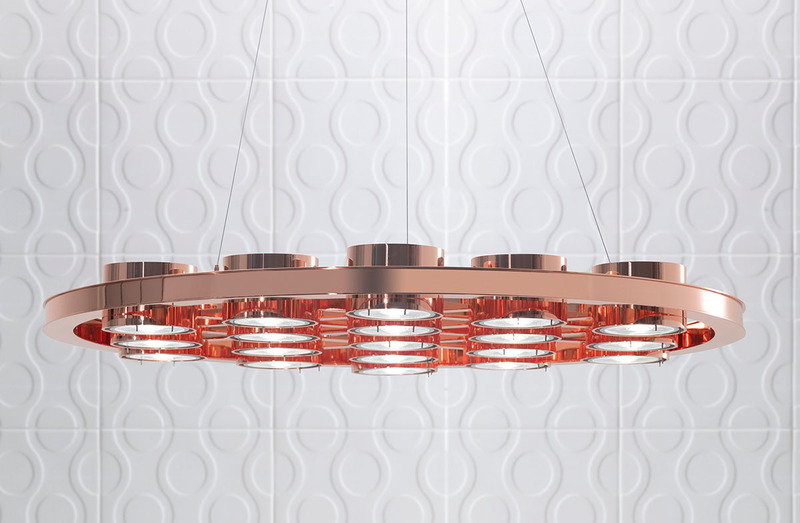 Pendant in metal in a choice of finishes. 19 LED bulbs. Finish options: Polished or satin chrome, Burnished. Brass or satin brass. Copper or satin copper. White matte or glossy lacquer. Black matte or glossy lacquer.